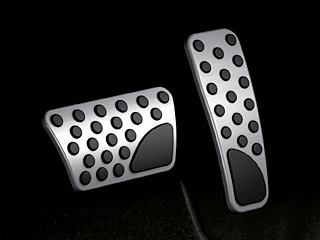 Mopar's Bright Pedal Covers for the Jeep Liberty are designed specifically to fit your production pedals. Made from 304 polished stainless steel with Santoprene rubber substrate. Easy to install. Gas and brake pedal cover kit. (Automatic Transmission only).